With Christmas almost here, it seems like everything becomes chaotic. This week I went back home for the Holidays, and forgot to take pictures of this weeks craft. But, with the help of my Mom’s crafting supplies I was able to create something just as cute. 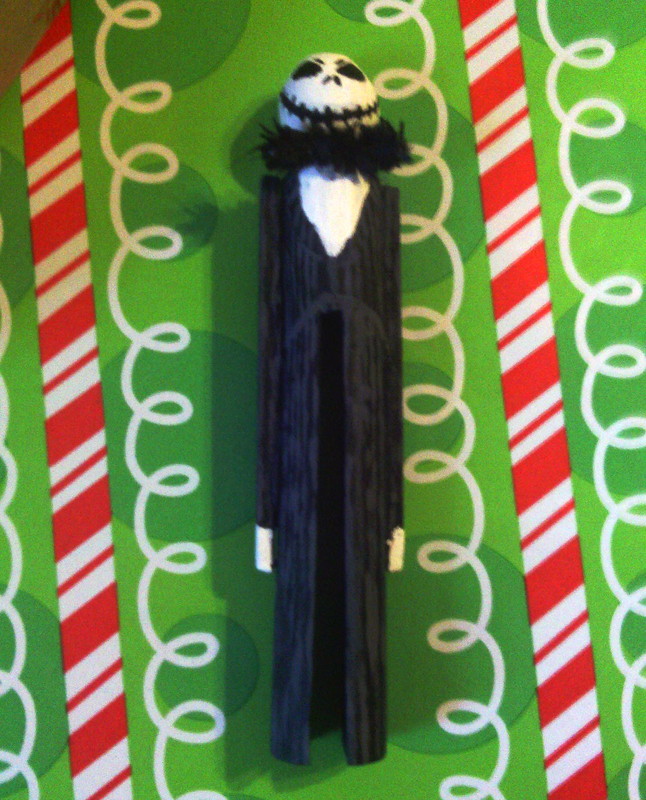 One of my favorite movies to watch during this time is The Nightmare Before Christmas. It is one of best movies to play between Halloween and Christmas. I ended up burning myself a couple of times with the hot glue gun because of how small these ornaments are. Some string is still needed to finish these Jacks, but they are so adorable!